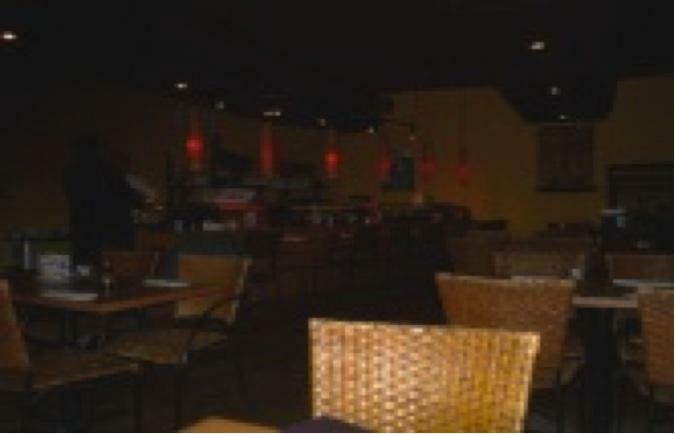 Wasabi is a very nicely appointed place that is split into two levels and divided into separate dining areas. In summer they operate patio service on the sidewalk and I have enjoyed sitting out there on previous visits. On this occasion, I visited on a Tuesday night and there were only 15 or so patrons in the place at any one time so it had somewhat empty feeling. There was jazz music playing in the background, which I dislike at the best of times, but this was overly loud and quickly became irritating. I sat at a table near the sushi bar, not because it was a great table but because it was one of the few places where there was enough light to read and write. The service, as always, was excellent and very attentive. I had three friendly, very competent (not to mention pretty) young women serving me. I am not sure why this was so but I certainly didn’t mind. A few dishes seemed to take a little longer to prepare than I would have expected given the emptiness of the place but not enough to complain about by any means. My only real disappointment was that the restaurant was completely out of any form of Belly Tuna. This happens from time to time, of course, but they didn’t have any on my last visit, nor on a recent visit by my wife. Ika (Squid) Sashimi – $2.75 This was multiple strips of squid served in a cucumber cup and garnished with Tobiko (flying fish roe). It was nice and sweet but not absolutely fresh to my mind. The pieces were cut too small. 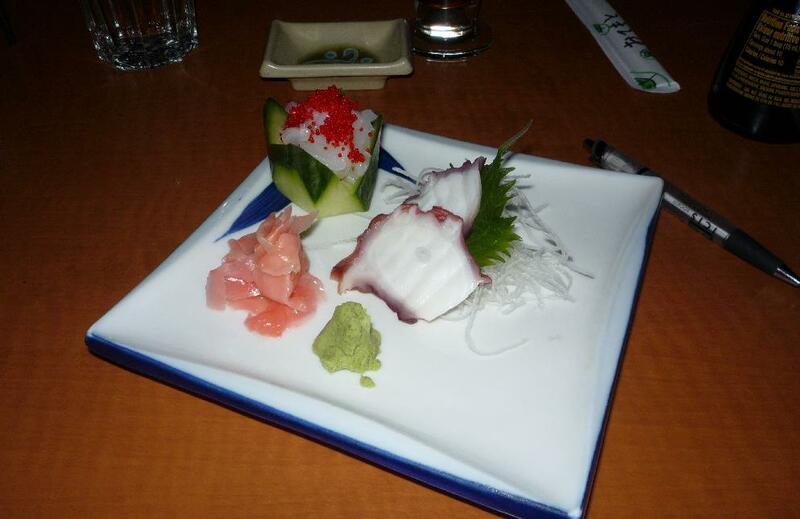 Tako (Octopus) Sashimi – $3.00 for 2 pcs. This was excellent. Very fresh and with the sweet taste of lobster tail. I have had this here before and I recall it being a bit overly chewy but on this occasion it was about the best I have had anywhere. The shrimp seemed to me to have been very lightly blanched. The flesh had a slight pinkish tinge as though briefly heated but the texture was definitely that of raw shrimp rather than cooked. It was nicely sweet but not particularly special. The clam tasted very much like a west coast oyster with the same pleasant cucumber notes. It was more sweet than briny, unlike an oyster, and there was a slight woodiness to the finish that spoilt it a bit. The texture was chewy but not overly so. 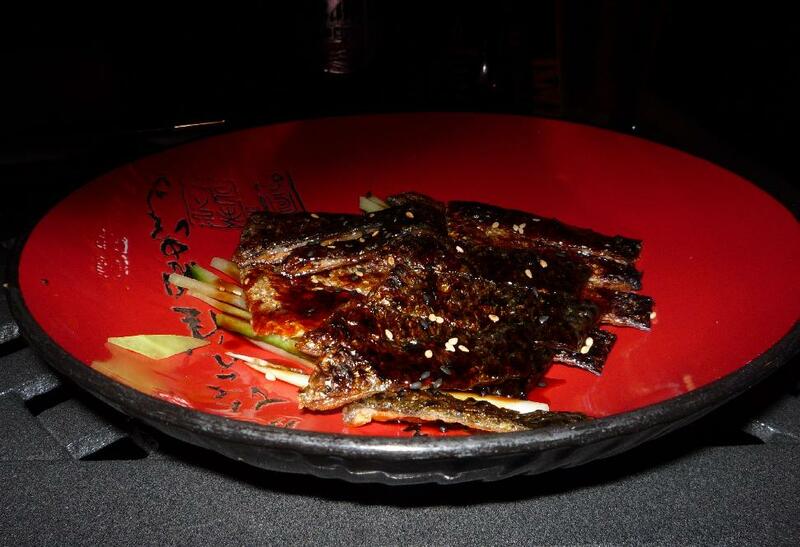 Saba (Mackerel) Sashimi – $2.50 for 2 pcs. This was excellent. It had a nice and very delicate taste that was somewhere between a smoked or pickled fish flavour. I asked how it was prepared and was told that it had been marinated in salt and vinegar. The latter surprised me as there was no acid tang that I was able to detect. I think the fillets must have been pressed as there was a slight dryish quality to the texture but this did not interfere with my enjoyment of it. Rating 5 out of 5. 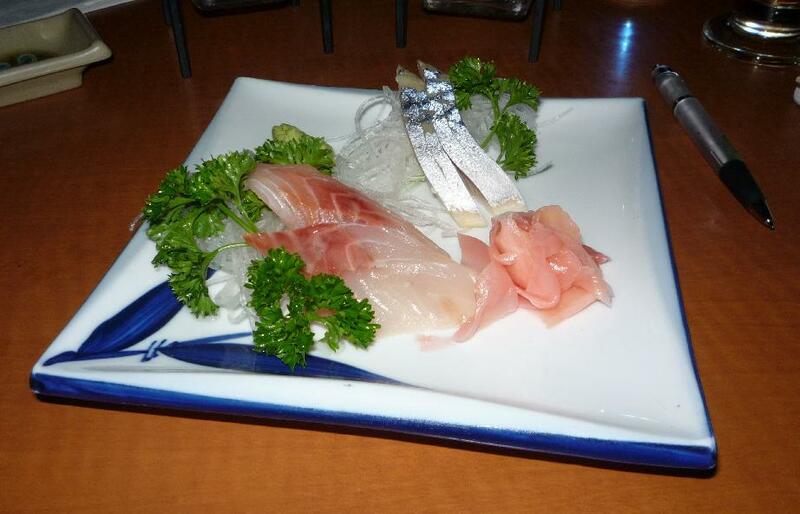 Umimatsu (Sea Trout) Sashimi – $3.00 for 2 pcs. This was very fresh with a nice delicate texture. The flavour was very subtle but it was without any appreciable highlights was a bit bland for my taste. Rating 2.5 out of 5. 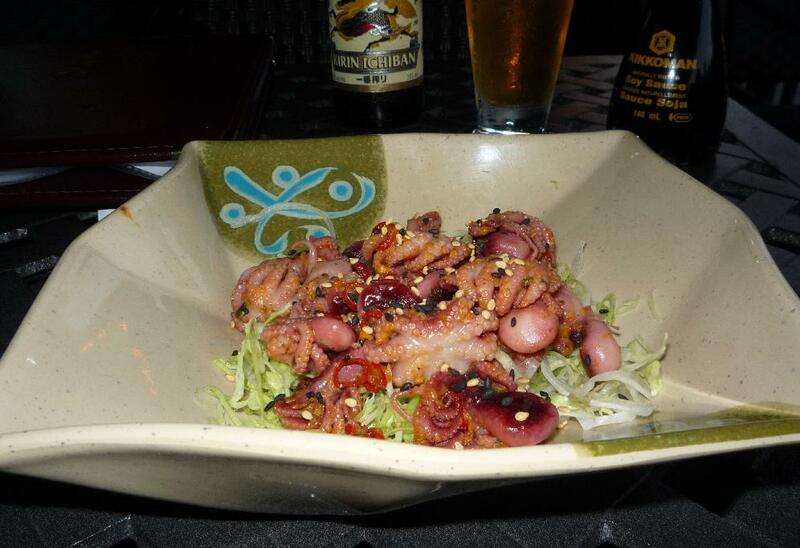 Idako (marinated Baby Octopus) Appetizer. This was very tasty and nicely presented but it was rather a lot for a single person who hoped to try several dishes. It would be good value for 2 people. This was very tasty but too rich to eat more than a few pieces at once. 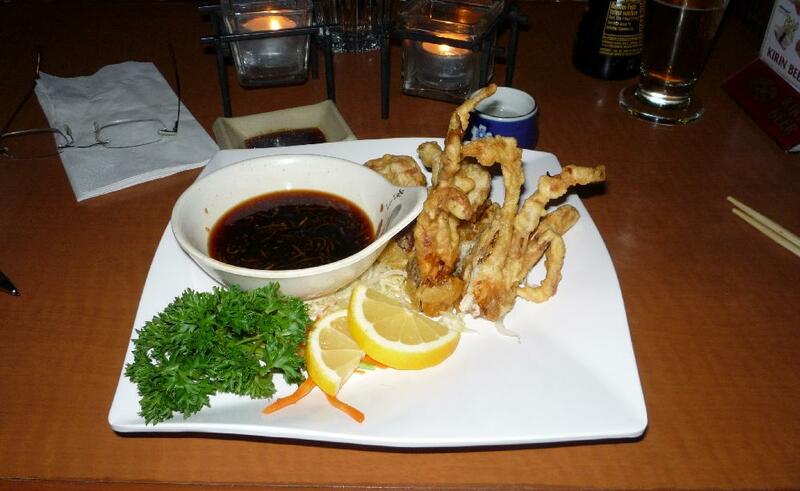 Soft-Shell Crab – $8.95 for 3 or 4 pcs. This was served tempura style with what was described as a Ponzu-butter sauce. The tempura batter taste rather overwhelmed the delicate crab, to my mind and it really should have been a bit thinner. The legs of the crab were quite tasty but the body was very bland. The Ponzu-butter sauce, which also contained dashi, was quite pleasant but it was too much for this dish. I have visited Wasabi on 5 or 6 different trips to Ottawa and I have never had a bad experience. The service has always been impeccable and the dishes I have sampled generally range from so-so to excellent. On this visit, the service was as always and the good dishes more than made up for those I didn’t enjoy as much. My only complaint was the very intrusive background music that was playing. On a busy night this would likely go un-noticed over the general noise but when the restaurant is not full it really detracts from the overall experience. The photos may not do the justice. But the fish and shrimps didn’t look fresh to me at all! 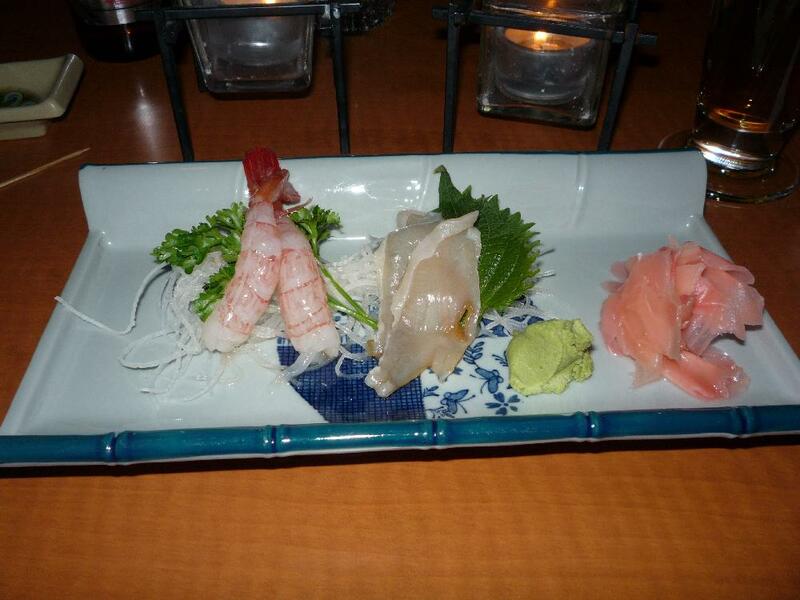 Wasabi is located in the prime location, but their sushi is not the best in Ottawa. The shrimp were definitely not as fresh as could be. I can’t recall a great deal about the trout but I don’t especially recall anything negative in that regard. Other than the clam, which I enjoyed, the other sashimi were cooked (octopus) or pickled (mackerel). My wife and I have both found that, while we like Wasabi, the quality of some dishes can vary considerably on different visits. I am heading to Ottawa in about two weeks and hope to visit a couple of other Japanese places on this trip.